When Mark and Heather Smythe saved Earth from the conquest-hungry Kasari Collective, they thought their work was done. But the world's vast new government continued its quest to make extraterrestrial contact. And now, as a new gateway is activated to welcome the Kasari, whom world leaders take to be benefactors, only the Smythes stand a chance of countering their planet's invasion and subjugation by a race of ruthless conquerors. Years after their failed first mission, the Kasari have returned, bearing irresistible promises while concealing insidious plans to enslave humanity. But not if the Smythes - along with fearless CIA agent turned mercenary Jack Gregory and his partner, Janet Price - can help it. 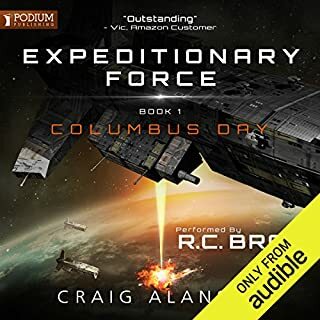 From the world's last stronghold, they take the fight to enemies both earthling and alien - even as their comrades-in-arms join the warrior Koranthians in battling the Kasari on a far-off planet. But the greatest danger lies within Earth itself, where an ancient artifact prepares to summon doom from another world. ©2016 Richard Phillips. (P)2016 Brilliance Audio, all rights reserved. Incredible Performance! MacLeod Andrews is BACK!! I have enjoyed each book series centering on these characters first introduced in the Rho Agenda. Each book's evoloving plot line and surprising twists keep me heavily invested and interested while at the same time offering answers and satisfying conculsions without big cliffhangers. I am still very eager for the next addition! This was a great addition I highly recommend it to fans. Enjoy! Book 1, The Kasari Nexus, was a bit of letdown. Not bad, but not up to series standards. I listed several reasons why, but it wasn't until halfway through this book that I understood the one overarching reason: not enough Ripper. Coming directly after the Inception trilogy that was all about Jack Gregory, finding him relegated back to minor player was (there is no other word for it) a letdown. Book 2, all the Ripper you can handle, and more. I don't want to give anything away, but about 40% of this book is about Jack Gregory and Khal Teth/Anchanchu, and it is out of this world, literally and figuratively. You did not see this coming. One might argue that this should have been the sole focus of this book, but Jennifer Smythe's other-worldly adventure, which was the best part of Nexus, is also a knock-out punch, also about 40%. The remaining Earthbound portion of the tale disappoints, but only slightly. Compared to what is happening with Jack and Jennifer, the challenges facing the rest of the cast do not hold nearly as much interest. But this appears poised to be the main focus of the third and final entry, due this August, though its title, The Meridian Ascent, refers to Jennifer's plot line. It would stand to reason that Jennifer's showdown with the Kasari Collective and Jack's with the Altreians will converge over the battle for supremacy over Earth. I haven't plowed through a series this lengthy in decades, and I wouldn't be doing it now if it weren't for audio. 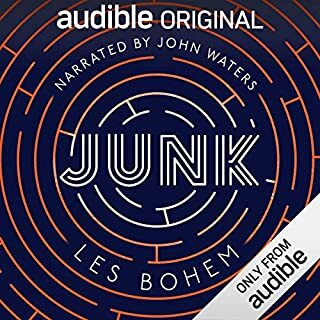 These are good listens, highly entertaining, easy to get through quickly if you spend a lot of time in a car or walking a dog -- I would not have been able to read them in print over the same span, nor would I have wanted to. But I can listen to these and still spend my reading time on literary works better suited for print -- have my cake and eat it too. I have had this book downloaded for a few weeks now and waiting until I really had nothing else to read... I should have listened earlier, this book was phenomenal! I really love the Jack/Ripper line and can't wait to see what happens with that. What happened to this sequel? I really enjoyed the first book in this series. So much so that I made a mistake I usually don't make: downloaded the next two in the series. Well, this second book is not a sequel. For one thing, it starts DECADES after the first one...so it keeps having to explain the huge discrepancies in quick but annoying asides. For another, there is very little that connects the two books--the characters might have the same names but they are so different from their first-book personas that I have to wonder if the author had this failed book in some drawer and simply changed the names of the main characters and released it as a sequel when her first novel became a success. I couldn't finish it; it was so boring. He did it again! 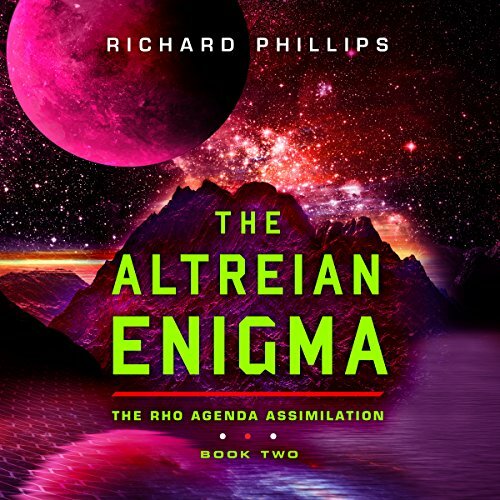 Richard Phillips wrote another fabulously intriguing sci-fi thriller. I felt like I was their in the underground caves of other planets, battling other aliens, etc! There are many great sci-fi authors but he grabbed my attention through Amazon Ebooks several years ago when he was stressing out new! Thanks Richard Phillips and thanks Amazon Kindle Ebooks! Keep them coming please! 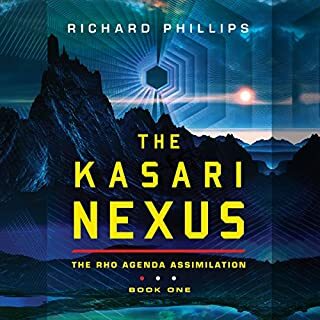 MacCleod Andrews returned as narrator and Richard Phillips found the focus that felt lost in The Kasari Nexus. Fun tasty sci-fi. 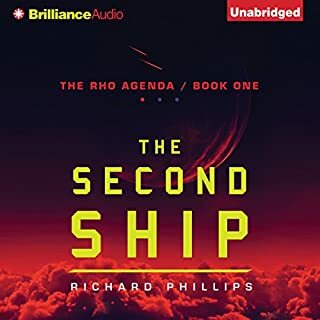 I have listened to all the Rho Agenda Inception series and all Rho Agenda series. I enjoyed both series. I was a little disappointed with the first book in this series. 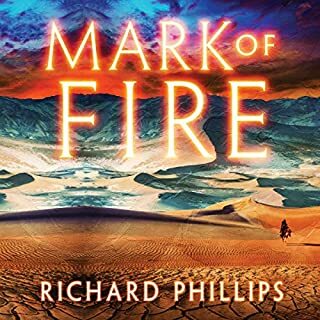 This book is what I expected from Richard Phillips. Also, Macleod Andrews was back. He did not read the first book in this series which was disappointing. 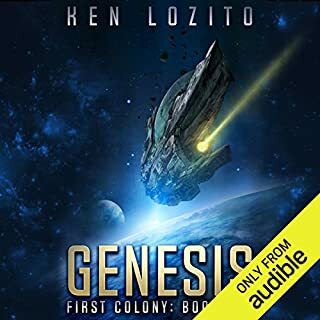 I hope audible does the last book in this series. narrative is done wonderfully. Inflection is superb and voices are great. The storyline is great and full of action. I don't understand all the computerese but don't have to - just add it to the flow of the story. Would definitely pass this series on to friends. read the first book and now this one. I felt like there were a few too many characters to keep track of and it wasn't one of those "can't put it down" novels. Not bad, creative idea, but a little hard to follow. Having finished the last instalment, I can't wait for the last one in this series. It has been a very satisfying journey; a really good listening experience. It was made so as I purchased 5 books in the series at once, so one flowed into the next. Narration was very good, which always enhances any audible book. If anyone's looking for an engaging series, I throughly recommend this one.